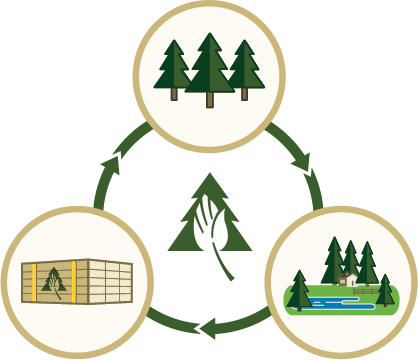 PotlatchDeltic owns nearly 1.9 million acres of timberland and operates seven manufacturing facilities that produce lumber and plywood. We unlock value in lands that have a higher and better use than timberland and continue to grow our timber base. Through sustainable stewardship of our resources and efficient production at our facilities, we strive to provide economic benefit to the communities in which we operate and superior returns to our shareholders. "Our 2018 results reflect the successful integration of our recent merger and the benefit of exceeding our targeted synergies."